Canoe Carrier. Includes one pair ratcheting tie downs, two straps and buckle protectors. T-slot cross bar compatible only. 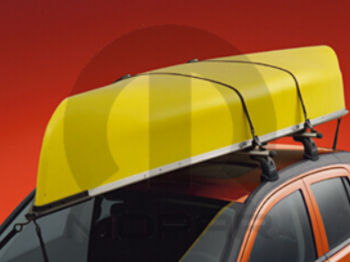 Mopar- in partnership with Thule- the leading US manufacturer of car rack systems- offers the canoe- paddle board- surf board and kayak carrier. The perfect combination of the Hydro-Glide and Set-To-Go saddles in one package. 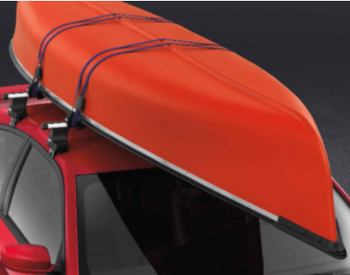 The Set-To-Go saddle provides the perfect combination of hull conformance and lateral stability- while the Hydro-Glides low friction design provides the slickest and easiest way to load a kayak. 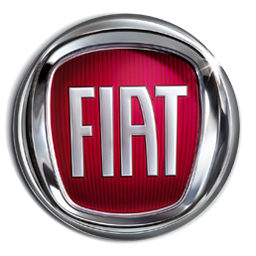 Fits Mopar and production cross bars.